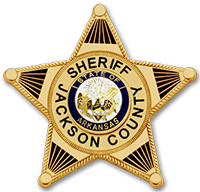 In October 2012 the Jackson County Sheriff’s Office was contacted by the Mayor of Weldon in reference to missing city funds. At that time an investigation was began and an Audit was requested. Andrea Grigsby Adams resigned from her position as the City Clerk of Weldon on October 9, 2012, during an audit conducted by the Joint Legislative Auditing Committee. As a result of the Audit Andrea M. Adams was charged with Theft of Property, a Class B felony on June 26, 2013. The audit results reported that it appeared Adams had misappropriated city funds totaling $47,893. Adams appeared before Judge Barbara A. Griffin of the Newport DIstrct Court on June 28, 2013. Adams was ordered to appear in the CIrcuit Court of Jackson County on August 7, 2013. Adams was allowed to remain out of jail on her own recognizance.